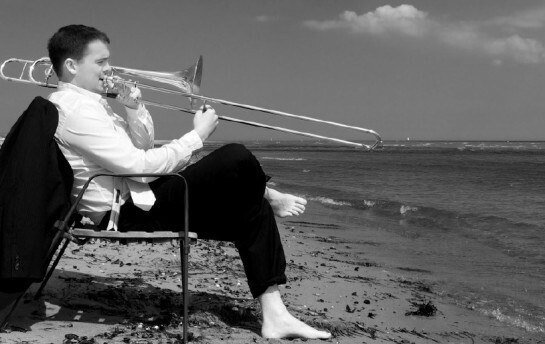 Jamie Williams has served as principal trombonist of the Deutsche Oper Berlin since 2009. Furthermore, he is professor in the „Hochschule für Musik und Theater Rostock. An avid orchestral musician, Jamie Williams has performed with the Boston Symphony, Bavarian State Opera, Berlin Philharmonic, Berlin Staatskapelle, Deutsches Symphonie-Orchestra Berlin, Dresden Staatskapelle, Guerzenich Orchestra Cologne, Hamburg State Opera, Mahler Chamber Orchestra, Radio Symphony Orchestra Berlin, and the WDR Symphony Orchestra. He was principal trombonist from 2003-2009 with the Dortmund Philharmonic. Jamie Williams released his solo début CD „Voice“ in 2013. His concert activities have led him across Asia, Europe, the Middle East, North and South America as both soloist and chamber musician. As a soloist, Jamie Williams has performed with orchestra in the Berlin Philharmonie. 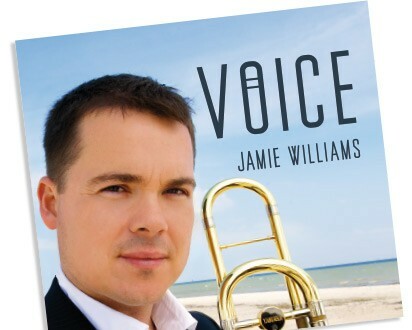 Born in 1979, Jamie Williams began playing trombone in his native St. Petersburg, Florida at the age of eleven. In 1997, he received a full scholarship to study in New York at The Juilliard School with Joe Alessi. Jamie Williams continued his studies with Per Brevig, Jonas Bylund, Michel Becquet, and Ian Bousfield. In 2010, Jamie Williams began as an active Yamaha Artist, in demand for master-classes, and performing on a Xeno YSL 8820. He has been on the jury of numerous international competitions and was voted in for the term of 2014-2018 to the International Trombone Association Board of Advisors. Jamie Williams and his Rostock trombone class were awarded the Emory Remington Trombone Ensemble Prize in 2014, which is the most prestigious award world wide. Seit 2009 hat Jamie Williams die Position als erster Soloposaunist an der Deutschen Oper Berlin inne. Darüber hinaus hält er eine Professur an der Hochschule für Musik und Theater in Rostock. Als begeisterter Orchestermusiker hat er mit zahlreichen erstklassigen Orchestern zusammengearbeitet. Darunter befinden sich u.a. Boston Symphony, das Orchester der Bayerischen Staatsoper, das Berliner Philharmonische Orchester, die Staatskapelle Berlin, das Boston Symphony Orchestra sowie die Staatskapelle Dresden, das Gürzenich-Orchester Köln, die Staatsoper Hamburg, das Mahler Chamber Orchestra, das RSO Berlin und das WDR Sinfonieorchester Köln. Von 2003 bis 2009 war er Soloposaunist bei den Dortmunder Philharmonikern. Im Jahr 2010 wurde er zum Yamaha-Artist ernannt. Die im Jahr 2012 veröffentlichte Solo CD „Voice“ erhielt als Debut-Album zahlreiche positive Kritiken. Auftritte als Solist und in diversen Kammermusikformationen führten Jamie Williams nach Asien, durch Europa, den Mittleren Osten sowie nach Nord- und Südamerika. Er ist ein gefragter Pädagoge und unterrichtet regelmäßig auf Meisterkursen weltweit. Jamie Williams, 1979 in Florida geboren, begann mit elf Jahren Posaune zu spielen. 1997 erhielt er ein Vollstipendium um an der Juilliard School in New York bei Joe Alessi zu studieren. Nach seiner Zeit in New York setze er seine Studien fort und arbeitete mit Lehrern wie Per Brevig, Jonas Bylund, Michel Becquet und Ian Bousfield zusammen. Bei internationalen Posaunen Wettbewerben ist Jamie Williams ein gefragtes Jurymitglied. Im Jahr 2014 hat die Posaunenklasse der HMT Rostock unter seiner Leitung den Emory Remington Preis für das beste Posaunenensemble der Welt gewonnen. Die Klasse spielt regelmäßig Konzerte und wurde eingeladen beim International Trombone Festival in New York aufzutreten. Dear readers, here you will find regularly posted topics which are more personal and individual. The subjects are an archive with reflections of some past events as well as some general topics which are worth discussing and especially interesting for students. The HMT Rostock will have several openings in the trombone class beginning September 1, 2016. Auditions are in June with application deadline being May 1. Check the website for more information and application. Florence, Italy. The trombone teachers are Jorgen van Rijen, Alan Trudel, and Jamie Williams. Jamie plays with the Boston Symphony Orchestra under the direction of Andris Nelsons in April and May, 2016 plus European tour. At the Academia Muzyczna in Poznan, Poland plus performance of the Nino Rota Concerto. This will be a week of private and group lessons plus performance opportunities for all participants. Some participants may also play as soloist with orchestra. I will be performing various chamber music and the Grondahl Concerto with the North German Orchestra. Please contact me for more info. Classical and Jazz trombone Artists from around the world will come together in the HMT Rostock for a celebration of our instrument. There will be six concerts, daily masterclasses, and a mass ensemble of all participants and teachers. I will teach private lessons, chamber music, and perform a recital during this week. 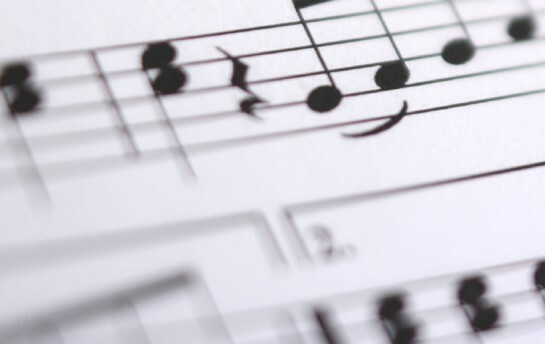 The day will include a mock audition for tenor and bass trombone followed by lessons. The participants are masters degree students in NRW Germany. This will take place at Escola Profissional e Artística do Vale do Ave (ARTAVE) and open to all students in Portugal. was born in 1989 started his musical education at the piano moving on to the first brass instrument in the local town band. Jan studied at the University of the Arts in Berlin and in Hanover at the Academy of Music Theater and the Media. He is currently studying at the HMT Rostock in the soloist class with Prof. Jamie Williams. Jan has as an orchestral musician in renowned ensembles such as the Sächsische Staatskapelle Dresden, the Staatskapelle Berlin, the Deutsches Sinfonieorchester Berlin, the Konzerthausorchester Berlin, the Orchester der Deutschen Oper Berlin, the Deutsche Radiophilharmonie Saarbrücken Kaiserslautern (SR / SWR), the Niedersächsischen Staatsorchester Hanover, the Duisburg Philharmonic, the Helsinki National Opera and the Stavanger Symphony Orchestra. With the brass ensemble „10forBrass“ he is traveling all over Germany. In autumn 2017 hat Jan recieved his C-Diploma by the Kirche Berlin Brandenburg Schlesische Oberlausitz as an organ player. As a conductor Jan regularly works for ensembles such as the Junge Bläserphilharmonie NRW, Die Jungen Blechbläser NRW. Currently, Jan Donner is 2nd/3rd trombone with the orchestra of the Deutsche Oper Berlin. was born in 1992 in Albi (France), and started playing trombone in the music school of Albi with Jean Pierre Albouy. From the Age of 12 to 19, he studied in „Conservatoire à Rayonnement Régional“ in Toulouse, in the class of Daniel Lassalle (trombone teacher in Toulouse and sackbut teacher in the CNSM in Lyon) and David Locqueneux (solo trombone in the orchestra of Toulouse). Throughout these years he also studied sackbut and chamber music. He finished his studies in Toulouse with the highest qualification in his final recital. In 2011, he studied in Paris with Daniel Breszynski (solo trombone in the Paris Opera). During this year he won the Bronze Medal in the European Trombone Competition in Luxembourg. From 2013 to 2016 he lived in Germany and studied for his bachelor degree in „Hochschule für Musik Freiburg“ with Fabrice Millischer and Hubert Mayer. Thomas has performed with orchestras such as Philharmonisches Orchester Freiburg, Baden-Baden Philharmonie, Orchestre Symphonique Saint-Étienne Loire, Orchestre Philharmonique de Strasbourg, Südwestdeutsche Philharmonie Konstanz and baroque ensembles such as Les Sacqueboutiers de Toulouse, Insula Orchestra and the Leipziger Barockorchestra. In 2017, Thomas Mercat was in the final of the International Baroque Music Competition of Toulouse. Thomas is currently studying on the orchestral masters course with Jamie Williams and Tomer Maschkowski at the Hochschule für Musik und Theater Rostock. was born in 1996 in İstanbul. She began her music studies with piano at the age of 6 in Mersin University State Conservatory’spart-time education program. In 2009, she was accepted to Mersin University State Conservatory’s middle school and started playing trombone. She continued her studies in Çukurova University State Conservatory High school Adana and also participated Çukurova State Symphony Orchestra as a guest (second trombone 2014), gave concerts with brass ensembles. In 2015, she was accepted to Bilkent University Music and Performing arts and continued her studies with Peter Körner. During her education at Bilkent University, she was an active participant of Joseph Alessi and Christian Lindberg masterclasses(2015-2016). She gave concerts with Bilkent University YouthOrchestra and Bilkent Symphony Orchestra as a guest. In 2017, she participated Bursa Brass week and made studies with Jamie Williams, Peter Körner and Noriyoshi Murakami. Elif was awarded for the developments she showed in Bursa Brass week. In the same year, she enrolled the Hochschule für Musik und Teather Rostock and continues her studies with Jamie Williams andTomerMaschkowski (September). Born in 1993, grew up in Selestat, France and began playing trombone at the age of 8. After obtaining her diploma in Musical Studies at the conservatory of Colmar, Alsace, she moved to Paris to study with Joel Vaisse (Principal trombone orchestra National de Paris) and Alain Manfrin (trombonist co-solo orchestra de Radio France) where she finished with a diploma of excellence. She entered right after the trombone class of Prof. Branimir Slokar and Fabrice Millischer at the Hochschule für Musik Freiburg where she graduated with a Bachelor diploma in Mai 2017. Marick has performed with many professional orchestras in Germany and abroad such as Symphony orchestra Basel, MÁV Symphony Orchestra Budapest, Philharmonie Baden-Baden, Philharmonic Orchestra Freiburg, Südwestdeutsche Philharmonie Konstanz, Danubia Symphony Orchestra Budapest. Marick has been finalist of the National Trombone Competition in Lille, France. She also took part of the summer and winter Tour 2016 of the French National Youth orchestra under the direction of David Zinman and held a scholarship from Yehudi Menuhin Live Music Now Freiburg since February 2016. She started her studies with Prof. Jamie Williams and Tomer Mashowski at the Hochschule für Musik Rostock in October 2017. Tomer Maschkowski was born in Rotterdam in 1982 to Israeli parents. He started playing the trombone at the age of 13 with his grandfather that played 34 years in the Israel Philharmonic Orchestra. He continued his studies in Rotterdam Codarts school. After a year in the Jerusalem Symphony orchestra, Tomer was accepted in the Akademie of Staatskapelle Berlin under Maestro Daniel Barenboim where he also played many years with the West-Eastern Divan Orchestra. In 2008 the studies continued in Berlin UDK with Andreas Klein, Rainer Vogt and Stefan Schulz, where he finished his bachelor and master degrees. Since 2012 he is the Bass trombonist of Deutsches-Symphonie Orchestra Berlin. Next to that he plays regularly with orchestras including the Berliner Philharmoniker, Concertgebouw Orkest, Gewandhaus Orchestra Leipzig, Lucerne Festival orchestra, Staatskapelle Berlin, Deutsche Oper Berlin and more. Tomer is a member of ensembles like International Trombone Ensemble, Trombone Unit Hannover, Berlin Trombone Quartet and plays often with ensemble like Berliner Philharmoniker Brass Ensemble, Lucerne Festival Brass ensemble and chamber music with artists such as Sergei Nakariakov, Guy Braunstein and Ohad Ben Ari. As a soloist Tomer performed with Hofer Symphoniker. South Korean-born (Seoul, 1985), Spanish pianist, begins her piano studies at the age of 3 in her homeland. At the age of 8, her family moves to Spain, where she continues with her academic path. She studied as Solo Pianist, with full scholarship supported by the Spanish Ministry of Education, at the Conservatorio Superior de Música „Joaquín Rodrigo“ of Valencia, under the guidance of the pianist Mario Monreal. Continuously, she got her Master Degree in Piano Performance by the University of Valencia under the pianist Carlos Apellániz. Finalist and winner in several national and international competitions, she has performed as soloist at different concert halls and at the same time develops a very intense activity as chamber musician (with various ensemble) and as accompanist, which allows her to have a large repertoire (ensemble with strings, brass, percussion, woodwinds). In this role, she has performed at major halls and festivals, among which are: Rossini Opera Festival, Macerata Opera Festival, Donaueschingen Musiktage, Beethoven-Woche (Bonn), World Saxophone Congress (Edinburgh), Internationale Posaunenvereinigung Symposium, Palau de les Arts „Reina Sofía“ de Valencia, Fundación Eutherpe León, Opera di Roma, Konzerthaus di Viena… etc. In parallel, she specialized in Piano Duo, getting a Master Degree by the Hochschule für Musik und Theater Rostock, under the Stenz Piano Duo, together with the pianist/conductor Alessandro Palumbo, as Synthesis Piano Duo. She is also specialized in opera-liederatic repertoire by the Plácido Domingo Opera Studio in Valencia, under the guidance of great masters as Alberto Zedda, Roger Vignoles, Gianni Fabbrini, etc. She has been coach for the Conservatorio „Giuseppe Verdi“ di Milano, Musik-Akademie Basel and UdK Berlin. Currently is pianist for the trombone class (Prof. Jamie Williams) and for the percussion class (Prof. Jan-Frederik Behrend and Torsten Schönfeld) at the Hochschule für Musik und Theater Rostock, repetiteur/vocal coach for the Opera de Tenerife, Rossini Opera Festival and Macerata Opera Festival, where she works with internationally renowned musicians and artists. Born in 1988, Matthew McGeachin grew up in Townsville, Australia and began playing bass trombone in the local brass band while at school. He studied a bachelors degree at the Queensland Conservatorium of Music, Brisbane with Tom Coyle (bass trombonist Queensland Symphony Orchestra). He then studied with Jessica Buzbee at the Australian National Academy of Music in Melbourne. Matthew has performed with many of the main symphony orchestras in Australia, New Zealand and South East Asia including the Queensland Symphony, Tasmanian Symphony, Adelaide Symphony, New Zealand Symphony, Malaysian Philharmonic and the Macau Orchestra. Besides orchestral performance, Matthew has performed several show seasons including Chicago, Mary Poppins, Annie, A Chorus Line, South Pacific in Brisbane. He also played Les Miserables in Sydney, Melbourne and Manila. Matthew participated in the Mahler Chamber Orchestra Academy in Dortmund in February 2015 and is commencing studies with Jamie Williams at the Hochschule für Musik Rostock in 2016. Martí Pàmies Magrané was born in Reus (Catalonia, Spain) in 1994. He started playing trombone since he was 7 in Conservatori de Música de Reus taught by Rubén Perelló, Jordi Masip, Joaquín Izquierdo and Senent Domingo. Martí finished his studies in that city on 2012 while he was also playing in some groups such as Banda Simfònica de la Diputació de Tarragona (Tarragona symphonic band), Jove Orquestra Simfònica de la Diputació de Tarragona (Tarragona youth symphonic orchestra). At the age of 11, he also joined Catalanish National Youth Orchestra (JONC), where nowadays he is still member. From 2012 to 2016, Martí has been studying his Bachelor degree in Conservatorio Superior de Música de Aragón (Zaragoza, Spain) with Daniel Perpiñán, Eusebio Sáez and Ximo Vicedo. During these years, he has been member of some youth orchestras such as JONC, JONDE (Spanish National Youth Orchestra), NJO (Netherlands Youth Orchestra) or JOP (Portuguese Youth Orchestra). In addition to this, Martí has also performed with Spanish Radio Television Orchestra and Orquestra Simfònica del Gran Teatre del Liceu with the spanish tenor, Plácido Domingo. Currently, Martí often collaborates with Orquestra de Cadaqués, where he has performed with international singer soloists such as Jonas Kaufmann, Juan Diego Flórez, Piotr Beczala or Erika Grimaldi. He has also recorded three CD’s with this orchestra, conducted by Gianandrea Noseda. During his studies, Martí has taken lessons from Jörgen van Rijen, Brandt Attema, Mark Hampson, Jamie Williams, Andreas Klein, Hakan Björkman, Mark Templeton, Simon Wills, Enrique Crespo and Juan Carlos Matamoros. Nowadays, Martí is studying Orchestral Master with Jamie Williams at the Hochschule für Musik und Theater in Rostock. Marcel Puig Castells was born in Igualada (Barcelona, Catalonia) in 1993. Marcel began his studies of music with the cello at the age of 3. He studied cello in Conservatori de Grau Professional d’Igualada, where he was introduced to brass instruments at the age of 15 playing the fiscorn (Catalan instrument similar to bass flugelhorn). In 2011 he started his Bachelor studies with fiscorn in Escola Superior de Música de Catalunya (ESMUC) in Barcelona, with Josep Moliner. There he received a Bachelor of Music degree in 2015. In 2011 he began his studies of trombone with Simeon Galduf and Jordi Giménez. He followed his trombone studies in Conservatori Municipal de Música de Barcelona (CMMB) until 2015, when he won the Honor Prize of the school in his last year. Then he continued studying trombone with Eusebio Sáez (principal trombone in Orquestra de Barcelona i Nacional de Catalunya, OBC). He enrolled the Hochschule für Musik und Theater Rostock (Germany) in September 2016, where he studies Bachelor with Jamie Williams and Tomer Maschkowski. Amit Rozenzweig, born in 1991, has been playing the trombone for 14 years. Between the years 2009 -2012 served as „Outstanding Musician“ at the IDF Education Force. Between the years 2000-2007 studied in Kfar Saba Conservatory, with the teacher Alex Chichlensky. Between the years 2007-2009 studied with Daniele Morandini, principal trombone of the „Teatro Alla Scala“. Between the years 2009 – 2014 studyied music performance at Buchmann – Mehta Music Academy, Tel-Aviv University, with the teachers Daniele Morandini and Micha Davis, the bass trombone player of the Israel Philharmonic Orchestra. since 2015 studying in the Hochschule fur Musik und Theater Rostock with the Teacher Jamie Williams, principal trombone of the Deutsche Oper. Between the years 2006-2014 won Scholarships from the America- Israel Foundation. Between the years 2008-2012 participated Masterclasses at Buchmann – Mehta Music Academy, Tel-Aviv University, with trombone players as: Nitzan Haroz, principal trombone of Los-Angeles Philharmonic, Andrea Bandini principal trombone of de la Suisse Romande Genève, Simone Periccioli and Juan Manuel Real, principal trombone of Orquestra de la Comunitat Valenciana. Since 2007, Amit is a substitute member of various orchestras and ensembles in Israel and since 2012, a member of the Israel Symphony Orchestra, Israel Opera Orchestra, as the bass trombone player of the orchestra. Adrián Castro Capuz was born in Huesca (Spain) in 1989. Adrián started his studies at the age of 12 with valve trombone with Manolo Vara, brass teacher of the Huesca Wind Band. At the age 16, Adrián enrolled the Huesca Profesional Conservatory, where he was a student of Rubén Velasco (bass trombone) and Javier Gonzalo (tenor trombone). He started his orchestral development in Cabaletta Orchestra. He performed ‘Colors for trombone’ as a solist with Symphonic Band of Youth Aragón Institute with Bert Appermont conducting. At the age of 21 Adrián started his Bachelor studies in Conservatorio Superior de Música de Aragón with Ximo Vicedo and Daniel Perpiñán. During these years he was a member of many orchestras such as Maribor International Orchestra (MIO), Schleswig Holstein Music Festival Orchestra, Katalonia Youth Orchestra (JONC), Castellón Youth Orchestra (JOSC) and he was an active member doing concerts with Gustav Mahler Youth Orchestra (GMJO), European Youth Orchestra (EUYO), Netherlands Youth Orchestra (NJO), Euskal Herria Youth Orchestra (EGO). He has also performed with Spanish Radio Television Orchestra. Adrián has played with Orquesta Reino de Aragón with international soloists such as Natalia Gutman and Aldo Ciccolini in Riva de Garda Festival. In addition he used to take part in Contemporary Ensemble and the Baroque Orchestra of CSMA. In these years he took lessons with Carlos Gil, Indalecio Bonet, Abbie Connant, Gilles Millière, Michel Becquet, Jorgen van Rijen, Stefan Schulz, Ian Bousfield, Denis Wick and Chris Houlding. Currently, Adrián is studying orchestral master with Jamie Williams at the Hochschule für Musik und Theater in Rostock. Since September 2015, Adrián has been a member of the Orchesterakademie of the Komische Oper in Berlin. He will be playing there for 2 seasons. Daniel Téllez was born in Barcelona (Katalonia, Spain) in 1994. He started playing the Euphonium during 3 months with Vicenç Navarro and then he changed to the trombone with Dani Navarro at the age of 8. He started following his musical studies in Conservatori Municipal de Música de Barcelona (CMMB) from the age of 12 until 18 years with Miquel Badia and Gabi Mateu. He is a member of the amateur Banda Simfònica de Roquetes Nou Barris- Barcelona (wind orchestra), and has been playing during three years with Sant Andreu Jazz Band (a young Big Band with three CD’s recorded, the last one with the participation of Wycliffe Gordon, Terell Staford and Jesse Davis). From 2009 until 2011 he was member of JONC- Alevins, and then he joined to the JONC (Katalanish National Young Orchestra). Daniel was one of the three winners of the soloists’ competition in CMMB on 2010, and he won the Honor Prize at the end of his last year at the CMMB. In September of 2012 he moved to Rostock (Germany) to start studying with Jamie Williams as “Gasthörer”. Currently Daniel studies Bachelor with Jamie Williams in Hochschule für Musik und Theater Rostock. In 2013, Dani was awarded the Gilberto Gagliardi Prize at the International Trombone Association in Georgia, USA and in 2015, he was the winner of the Robert Marstellar and the Lewis van Haney Competitions in Valencia, Spain. At age 19, Dani won a position as a member of the Karajan Akademie in the Berlin Philharmonic. In his summers, he plays with Youth Orchestras, such as Schleswig-Holstein (2013) or Gustav Mahler (2016). geboren 1990 in Bad Schwalbach, erhielt bereits im Alter von vier Jahren Klavierunterricht. Als er im Alter von zehn Jahren ein Blechbläserkonzert hörte, entschied er sich für die Posaune. Den ersten Unterricht hatte er bei Joachim Tobschall an der Wiesbadener Musik-und Kunstschule. Als Mitglied von Wiesbaden Symphonic Brass und anderer Kammermusikensembles führten ihn Tourneen durch England, Estland und Frankreich. Florian ist mehrfacher Bundespreisträger des Wettbewerbes „Jugend Musiziert“. An der Hochschule für Musik und darstellende Kunst Frankfurt begann er 2007 ein Frühstudium in der Klasse von Prof. Oliver Siefert. In demselben Jahr wurde er Mitglied im Landesjugendsinfonieorchester Hessen. Das Staatstheater Wiesbaden engagierte Florian mehrfach für Bühnenmusik. Er nahm an Meisterkursen bei Prof. Werner Schrietter und Prof. Jonas Bylund teil. Zurzeit studiert Florian Posaune an der Hochschule für Musik und Theater Rostock bei Jamie Williams. Im Sommer 2013 war Florian Mitglied des Pacific Music Festival Orchestra and Baltic Youth Orchestra. Florian Becher ist momentan Akademist der Essener Philharmoniker.